UCI’s Today’s News Summaries cover more of the changing tides upon us as a global society of sovereign nations and beliefs. With Fatah ramping up aggressive speech by re-broadcasting an incendiary speech by Israel’s “peace partner,” Mahmoud Abbas (Article 1). Conversely, the IDF has been training for a “worst-case” scenario to combat any aggression from such brazen displays of hatred, ignorance and violence. ARTICLE 1 –Is Fatah trying to spark a new round of terror? The Fatah Movement has reposted part of a violence promoting speech by Mahmoud Abbas that was used in 2014 to launch a terror wave. Abbas gave the speech in October 2014 and then PA TV rebroadcast it 32 times. It coincided with a month of terror attacks in Jerusalem in which 11 Israelis were murdered in car rammings and stabbing attacks. The formerly West Bank-focused unit prepares to fight in the Strip, training inside tunnels and in cramped multi-story buildings. The Kfir Infantry Brigade completed an extensive two-month exercise simulating a war in the Gaza Strip against the Hamas terror group this week, as the hitherto West Bank-focused unit prepares to be stationed outside the coastal enclave next year. “I am positive that now, after two months of intensive training, which tested the capabilities of commanders and soldiers, we as a brigade are more prepared than ever for the next war, and are ready for any enemy we will face in the areas where we operate,” Kfir Brigade commander Col. Zion Ratzon told troops at the end of the exercise. Sen. Rand Paul acknowledged that he had placed a hold on major funding legislation for Israel, saying he wanted time limits on assistance to the Jewish state. The Kentucky Republican also said he wanted cuts in aid to countries he says are hostile to the United States. “While I’m not for foreign aid in general, if we are going to send aid to Israel it should be limited in time and scope so we aren’t doing it forever, and it should be paid for by cutting the aid to people who hate Israel and America,” Paul’s office said in an statement emailed Tuesday to the media. 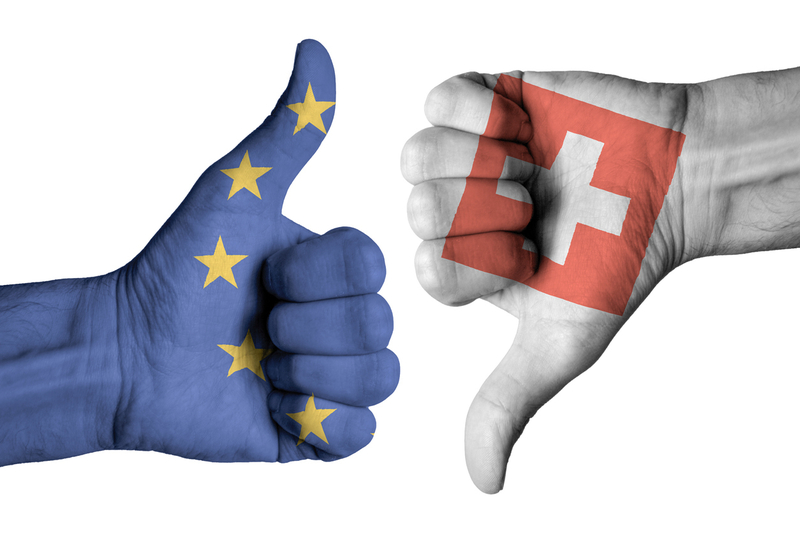 Switzerland is not a member of the EU, but has gained access to the European single market by signing a series of bilateral agreements in which Switzerland has given away large slices of its national sovereignty, including control over boundaries and immigration. In all, Switzerland has more than 120 bilateral agreements that govern its relations with the European Union. The EU is now pressing Switzerland to sign a comprehensive “framework agreement” that would require Bern to cede even more sovereignty to Brussels. The EU, for instance, wants Switzerland to subject itself to the jurisdiction of the European Court of Justice (ECJ). If Switzerland complies with the demand, the ECJ would outrank the Swiss Supreme Court as the final arbiter of legal disputes in the country. The EU has now increased the pressure by resorting to blackmail: Brussels is making its continued recognition of Switzerland’s SIX Swiss Exchange, the fourth-largest stock market in Europe, contingent on Swiss acceptance of the framework agreement. Switzerland’s current stock exchange agreement with the EU expires at the end of December; failure to renew it would deprive the Swiss exchange of EU-based business that generates more than half its volume. Uncovered 50 years ago at the Herodian palace near Bethlehem, a simple copper-alloy ring is now given a good cleaning — and second look by skeptical scholars. An intriguing 2,000-year-old copper alloy ring bearing the inscription “of Pilatus” may be a second artifact testifying to the historicity of the infamous Pontius Pilate. Unearthed 50 years ago, the ring was overlooked until recently, when it got a good scrub, and a second look. ← Is Fatah trying to spark a new round of terror?